Limited to 50 Pieces this standout Set S Oval Ring combines timeless style with a recognisable. 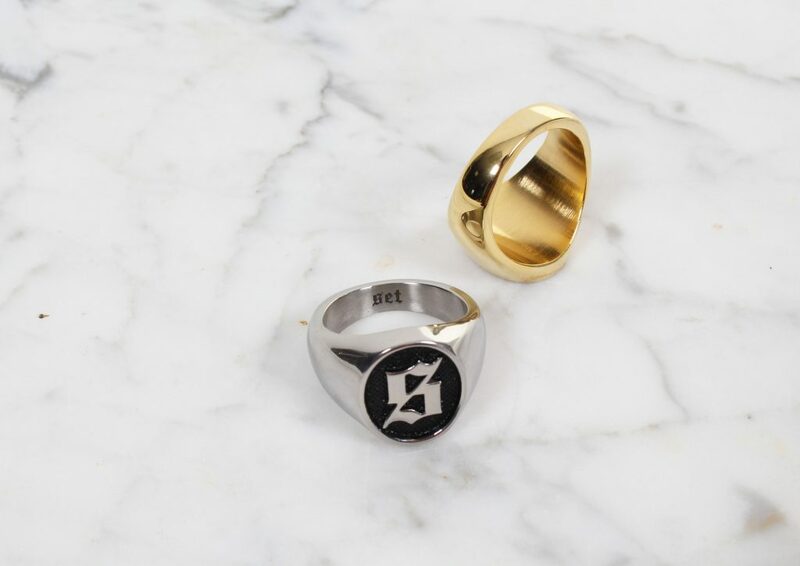 Set S Logo Gold is 8k plated steel & Silver is polished steel. We do not use Zinc or Brass metals in our jewellery. Posted in News & Announcements, SET and tagged gold, ring, set, set clothing, set store, signet ring, silver.